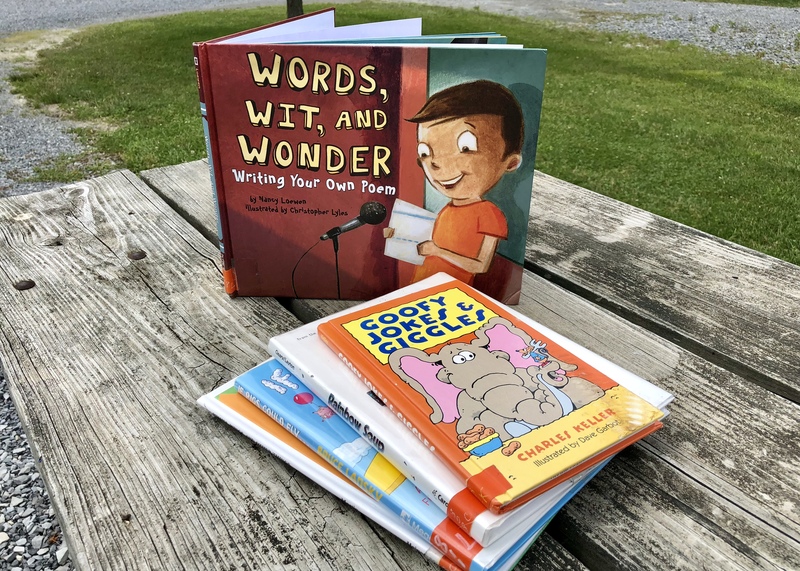 It’s no secret that library days are a family favorite in our household and what I’m reading in July was hugely impacted by one of our recent trips. If you’re of similar age than you may remember reading Shel Silverstein books. A Light in the Attic and Falling Up were just two of my favorites! The silly poems and beautifully innocent illustrations draw in a young reader showing them how creative the written word can be. Reading through them sparked an excitement within our littles leading to a full month of poem studies. Child-led learning at its finest! We’ve been working our way through some children’s poem books while they learn to write their own, and I’ve limited myself to only one fiction novel I may not even finish. We’ve just been having so much fun with our own. Full of jokes and riddles, this is a great book for helping your little one practice reading in a fun way. Written for ages 6-9 and perfect for first to third grade reading levels. Not one of our favorite books but full of short quirky thoughts nonetheless. The illustrations are cute but the “poetry” was a little lacking in quality. Narrated as being a dream, this story is about the pilgrimage of a man named Christian as he finds out more about himself, his faith, and the people within his world. In part 2 his wife, Christiana, and their four children as she journeys to Celestial City. This books is full of playful poetry, puns, and palindromes! Probably our favorite read-aloud from the books we’re reading this month, I am so glad we picked it up. There are short annotations sprinkled throughout the book explaining poetry terms and the different types of poems which was great for reviewing as we began working on our own. This book is a collection of poems from other authors we love. Some included are Lewis Carroll, Ogden Nash, Jack Prelutsky, and Shel Silverstein. Our first experience with the Writer’s Toolbox series was a success as we studied how to construct poems of various types. If your littles are interested in learning how to write properly, I highly recommend this series. Do you have any favorite children’s books of poems? We would love to explore some more so leave a comment with the suggestion below or tag us in a “What We’re Reading” photo on Instagram!